After hours of testing every baseball and softball bat on the market, we think DeMarini’s CF Zen in a drop 5 the best bat for a 13 year old. In Fastpitch we like the 2018 CFX in a drop 10, for BBCOR we choose Slugger’s 618 Solo and in USA Bat we like the drop 5 Elite or 718 Select. 13 year’s old is a tough age to find the best bat. Body sizes are dramatically different and so are the league requirements. Some leagues require BBCOR, others USA Bat and many still allow USSSA big barrels. To say nothing of fastpitch. We refer to our bat size chart often, that is categorized by age, weight and height. Our experience with 13 Year olds shows they may change a category or two during any given month. The average sized 13 year old (at 5 foot 2 inches tall) should get a bat in a 22 ounce bat to optimize his swing speed. However, the drop 5 CF Zen’s lightest weight is a 25 ounce version. That puts us at a cross roads. If your player is average to below average hieght might we suggest the drop 8 version of the CF Zen. Otherwise, try and get the 30/25. Or, if they are tall for their age, get a 31 or 32 drop 5. We do like the 2019 version of this bat, but while the 2017 version is still available we suggest getting this one while it lasts. Price check: Amazon.com. See our full review: 2017 CF Zen Review. Our bat size chart shows the best sized bat for an 13 year old, one that optimizes their swing speed and collision power, is 22 to 23 ounces heavy. This window creates issues, though, as many 13 year old leagues require a BBCOR standard. And, as you know, BBCOR bats are, at a minimum, 26 ounces. If you are playing in non-BBCOR leagues then finding a 23 ounce bat is easy enough. We suggest a 31/23 in USA or USSSA leagues for the average sized 13 year old. A bigger kid might appreciate a drop 5 bat, which starts around the 30/25 mark. Remember, too, there is a difference between scale weight and swing weight. Swing weight is how difficult it is to swing a bat while scale weight is how much it actually weighs. The two ideas are not one and the same. (See that conversation here). The 618 SOLO is our best 13 year old BBCOR bat because it comes in a very short size. It is one of three performance baseball bats to come in a 29/26. This bat swings ultra light and perfect for the young hitter who needs as much weight correction as possible. Price check: Amazon.com. Our Full Review: 2018 618 Select Review. 13 Year’s old is the prime time to really invest in a great softball bat. In theory, most girls could swing a drop 10—and they can swing this size bat through most of highschool. Granted, many grow at different rates here. But, the idea of getting a bat with 2 or 3 years of serious life here is a reasonable. As well, if you are still playing fastpitch softball at 13 then it is likely you’ll be in it for the long haul. 13 is usually when some girls lose interest, and those who really like start to get serious about it. In other words, we think it time you consider a serious performance bat in the fast pitch space. There are, as you’ll find quickly, a lot of top end options. Easton’s Ghost line as well as Slugger’s LXT and Xeno are a great set of bats. So, too, is DeMarini’s CFX line. Rawlings Quatro line looks promising too. You really can’t go wrong with any of those bats in a drop 10. 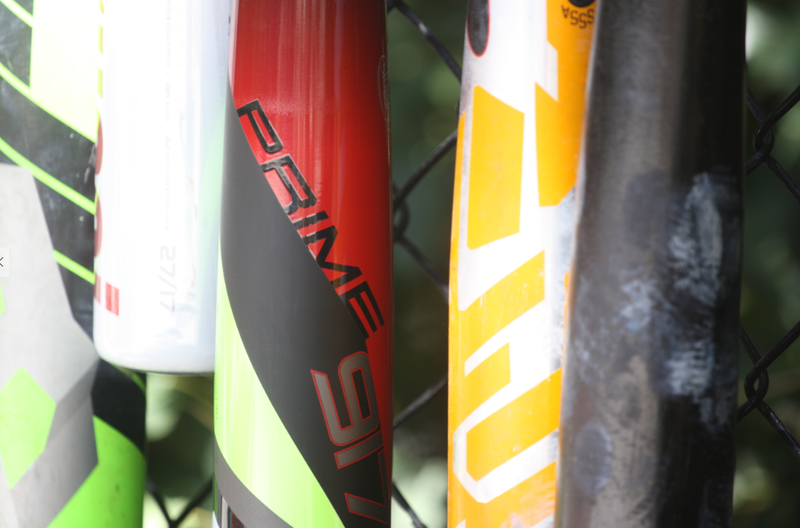 There have been no considerable changes to the premier fastpitch bat in at least a few years. And this is not a bad thing. The LXT Hyper is a brilliant bat with a great feel and a perfect balance. You can usually find decent deals on this bat especially as manufacuterers are looking to unload invenotry in time for the 2019 stock coming up shortly. Price check: Amazon.com. Our Full Review: 2018 DeMarini CFX Review. Our general rule is take the age of the player and multiply it by the number of games they will play. So, a 13 year old playing 25 games this year should spend NO MORE than $325 on their bat. Of course many variables go into how much you should spend, but we like to put a maximum on parents so they don’t feel torn between spending too much. At $325 you can get most of the fastpitch bats in the space. We really like the used and closeout markets too. There are better times to buy than others–which we talk about in our buying schedule. The 718 Select in a drop 10 or drop 8 is a great choice for the 13U USA Bat player. The two piece design and hot out of the wrapper feel are just what most players need at this age and in this category. Price check: Amazon.com. Our Full Review: 2018 USA 718 Select Review. Some leagues, especially in the 13u baseball space, allow either a BBCOR or USA bat option. The performance standard, also known as trampoline effect, are very similar. The major advantage USA has over BBCOR is the change in swing weight options. Younger players, especially those 13u players just figuring it out, need as much help in the box as possible. And a lighter swinging bat, without sacrificing significant amounts in terms of barrel profile and length, will benefit the smaller 13 year old player. In those cases, a drop 5 or 8 (or maybe even 10) USA bat will work wonders. If you can swing a heavier bat at the same speeds as a lighter swinging USA bat, then a BBCOR bat might be the best option. As well, you have many MORE proven options in the BBCOR space (at least in 2018) than in USA. As such, if you can swing the drop 3 correctly we would suggest you find a BBCOR bat you like and go with it. Otherwise, stick with a USA bat.